This story is sponsored by Boelter Landmark Restaurant Equipment and Design. 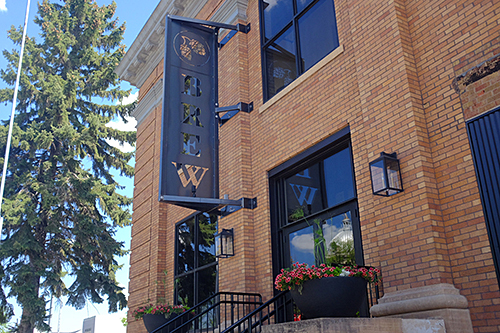 When you walk into the City Brew Hall in Wahpeton, ND, you feel the pull of history. 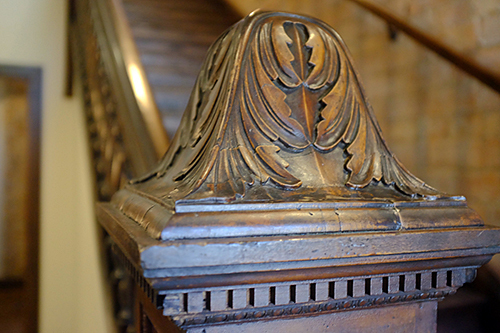 The former city hall building has stood proudly for more than a century, and you see that in the architecture, and decor, and the flow of the space. At the same time, City Brew Hall is effortlessly and obviously modern, and doing a robust business. Tables are full, and the modern kitchen of the newly renovated building is pushing out chicken wings, craft burgers, and shrimp tacos to meet the demand. 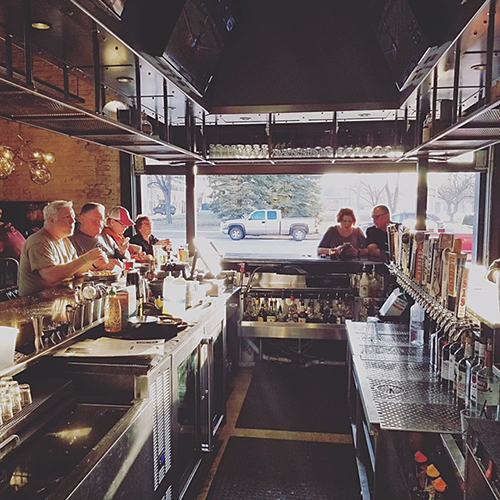 The combination of industrial chic interior design with upscale an pub grub menu feels more Northeast Minneapolis than downtown Wahpeton, and that's no accident - the restaurant/event space's ownership team sought a way to create a space that is simultaneously cool yet warmly welcoming. "We want people to feel like they're coming into our home, and it's a neighborhood party," says owner Shelby Terstriep. 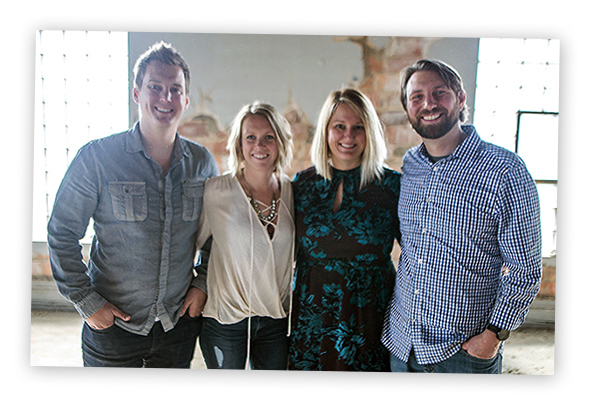 Along with co-owners Alex and Britt Belquist and husband Chad Terstriep, Terstriep sought an opportunity to make a space that was infused with what she describes as: "Really warm, inviting, funky, great design... elevated design! Where you wouldn't find this in every small town. 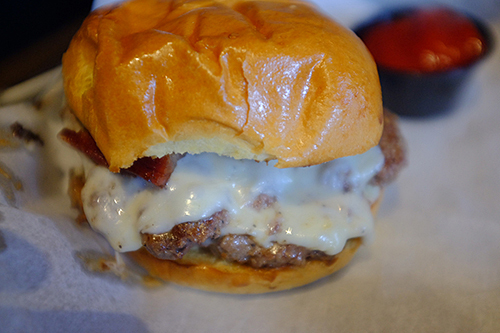 We want it to rival any restaurant in Minneapolis." 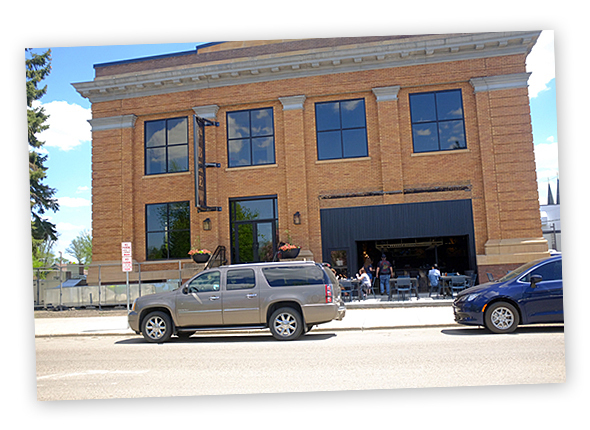 Of the ambitious project, architect Chris Hawley says: “City Brew Hall is a great example of dancing a modern use around an old structure while maintaining the original character of the Wahpeton City Hall and a piece of Wahpeton history.” Hawley and City Brew Hall's builders managed to create a space built around the entertainment and dining wants of the local community while still honoring the building's past. History echoes "especially in the upstairs – the wallpaper choices, the very neutral fixtures and colors, the light fixtures looking at incorporating a historic but modern vibe. 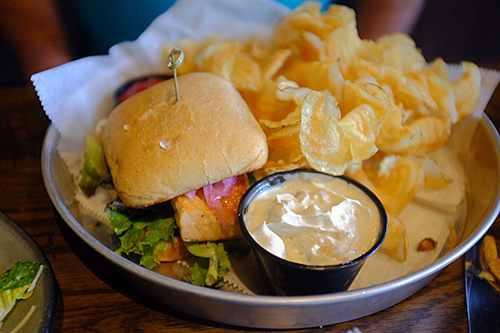 The downstairs has more of a feeling of an upscale pub, where you can hang out all day." The project's simultaneous focus on the past and the future is also reflected in the team that makes the place hum. Culinary students from the North Dakota State College of Science play a big role in the kitchen team at the City Brew Hall. "I think one of the reasons we're here with such a big project is the culinary school," says Terstriep. "It's the only culinary school in North Dakota. Our three second-year students are all going to stay on with us – that's huge for our restaurant company." Workforce turnover is a challenging problem in the restaurant business, so the alliance with the school makes sense for the City Brew Hall and its sister businesses in other parts of the state. It creates employees who know the business from the bottom up, and who can potentially provide decades of service, growing as the company grows. "We give students the opportunity to work at a lake place, the opportunity to work at an events center, or at a nice, busy restaurant... That's a key strategy for us, too." The menu that has evolved out of the restaurant's processes—surveying the community, working with culinary students, finding the ideal balance between envelope-pushing and comfort—wouldn't be out of place in any major metro area in the US or Canada. Poutine (a Canadian dish featuring melted cheese curds, fries, and gravy) is a running theme, and it fits the space perfectly – it's approachable and hearty but elevated and a little different. 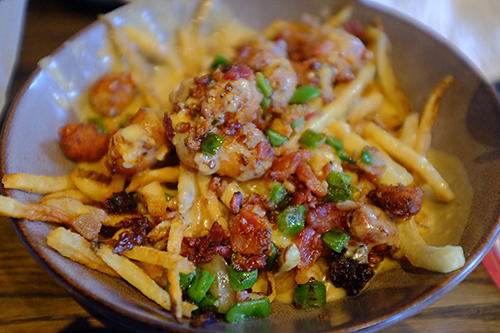 We tried the Brewtine spin on this dish, which involves battered cheese curds, bacon, jalapenos, and a beer-cheese sauce in lieu of gravy and found it to be spot on – a great balance of salt, carbs, and meaty depth. We also tried the Dubliner (which won People's Choice Award of Fargo Monthly’s Burgers, Beer & BBQ Fest) and it's a bruiser, a burger loaded down with two quarter pound Guinness-infused beef patties, Swiss Cheese, a Guinness Aioli, and Nueske’s thick-cut bacon. Despite all that heft, it held together well, all ingredients complementing one another with nothing hogging the spotlight. All of that food, of course, can't be created without a kitchen. 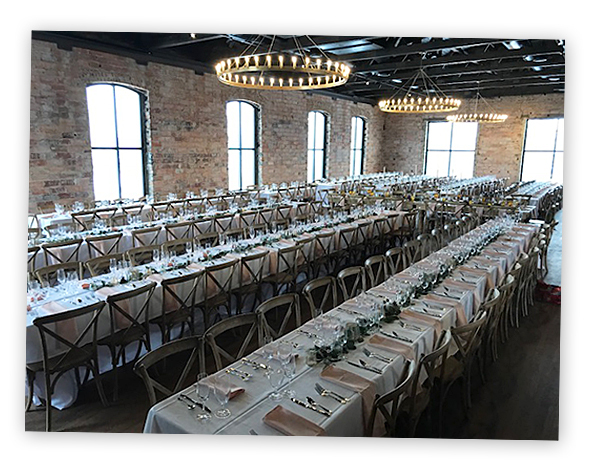 City Brew Hall's kitchen, the heart of the restaurant's hospitality, was created by the team at Boelter Landmark Restaurant Equipment and Design. "I think with Paul one of the first things we talked about is that we wanted someone we could work with over the course of a long relationship," says Terstriep. "So when you start the conversation that way, everything changes. This is the kitchen now, but it's going to evolve over time, and we wanted to have a partnership with someone who would help us evolve in this space as well as our other spaces. And already we've put in a burger press because it was too busy. Our goal is to evolve with it as we need to, with Paul's company." That long-term partnership is a two-way street, too. "We always perform better with a relationship," says Paul Kozlak of Boelter Landmark. "It puts us in a position to leverage our talents because the whole team communicates better. And we love working with entrepreneurs because when we do our job helping grow their business we grow ours." City Brew Hall may have one foot planted firmly in the past, but with an ambitious menu, a busy events business, a professionally educated crew and a flexible, evolving kitchen, the future seems bright indeed.